Bugatti’s production facility in Molsheim France is running on full swing as the hypercar maker rolls out 100th unit of its Chiron. 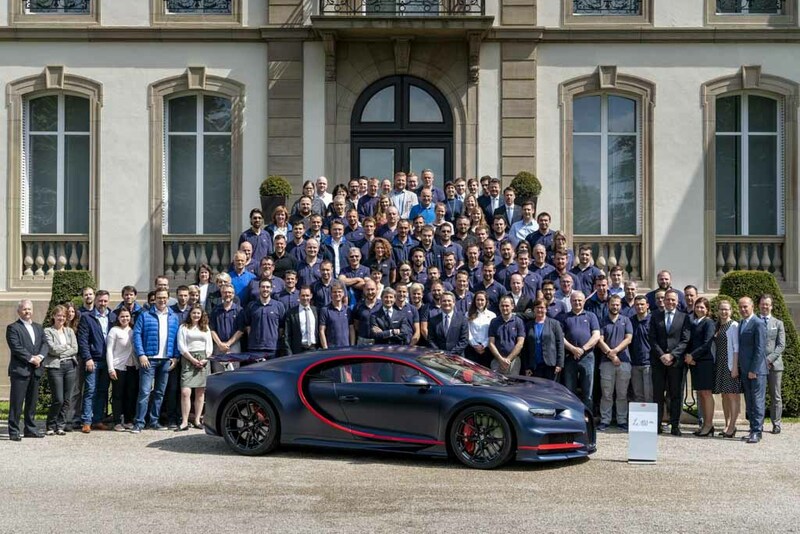 In order to celebrate the grand occasion at the brand’s HQ, the model posed for photographs with employees and Bugatti President Stephan Winkelmann. Mr. Winkelmann said he found the 100th Chiron pleasing and that it’s dynamic and elegant in equal measure. More importantly, it showed that Bugatti can manufacturer highly exclusive vehicles with incredible automobile craftsmanship. Also Read: This Car Filmed Bugatti Chiron’s 0-400-0 KMPH World Record Run! The number 100 Chiron is unique in its own right with the exterior adorning dark blue carbon in a matte finish shade for the first time and has red accents inside the cabin accentuated by Italian red leather. With the special configuration, the Chiron costs €2.85 million (Rs. 22.86 crore) without tax. The 100th milestone vehicle cannot be bought though as it is reserved already for a customer in the Middle East. Bugatti is producing an approximate 70 units of the Chiron annually from its factory in France and only 500 examples will totally be made. 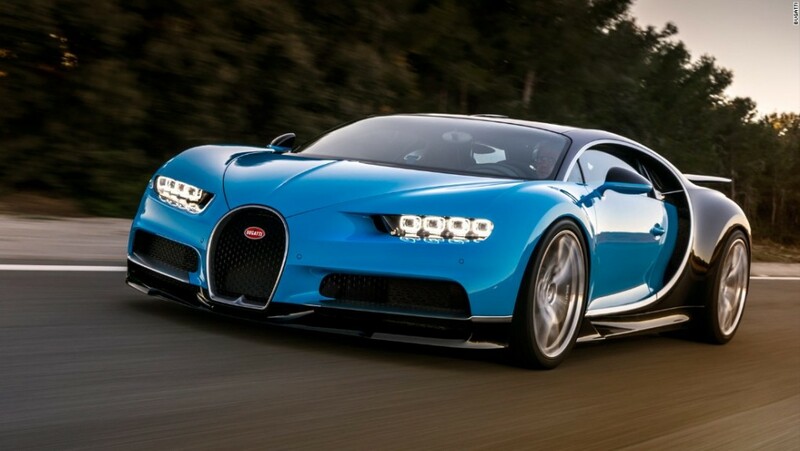 Its successor could come out after four or five years from now, as Bugatti will manufacture the Chiron until 2023. Bugatti will surely have its work cut out as the model succeeding both Veyron and Chiron has a lot resting on its shoulders. 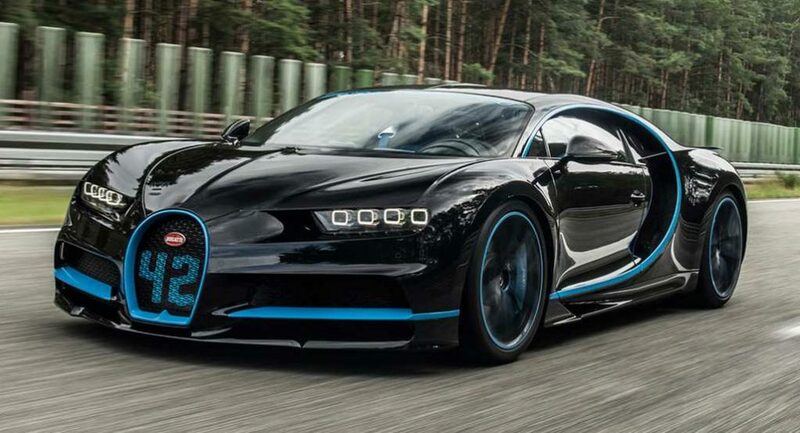 The Bugatti Chiron produces 25 per cent more power than Veyron. The 1,500 hp, 300 more than Veyron SS, is kicked out from the big 8.0-litre W16 engine with quad turbochargers. Despite sharing same power unit with Veyron, the engineers fitted new two-stage turbos for minimised turbo lag and better volumetric efficiency, new intercoolers and fuel injection systems to send more air into the engine that also resulted in massive torque figure of 1,600 Nm.